In October 2003, the Zhangjiakou Medical College, Zhangjiakou Agricultural College, Zhangjiakou Teachers College and Adult Education College (branch) merged to form, the College’s existing management. Continuing education is supported by a full-time higher education, there are various student more than 13,700 people, and disciplines cover Medicine, Agriculture, Literature, Economics, and Management and so on. 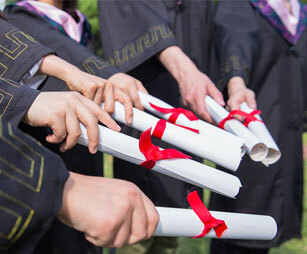 To address the lack of teaching resources in the development of adult education, approved by the Education Department of Hebei province with active exploration and practice, there were 70% students in conjunction with our sponsoring colleges and specialized secondary schools and 35 new professionals. In order to meet the needs of economic and social development and life-long education, the academy will be based on market demand, continuous adjustments and additional related profession. College has basically formed a campus-centric to the Joint School of teaching as the base, in Hebei, Shanxi, Inner Mongolia, Heilongjiang and Shandong provinces had joint running of unit teaching stations up to about 15, trying to foster better and more practical for local talent. In the management of education and teaching, institutes adhere to unified teaching plan, unified outline and educational materials, unification proposition, tests and marking, in line with the spirit of humanism, according to management, establishment and perfect rules and regulations, standard working in harmony to advance adult education management. The college gives full play to their advantages of education resources, local communities, to carry out various types of training programs, and strive to implement the scientific outlook on development, building a new Socialist countryside, contribute to the construction of harmonious society. With the Organization Department of the provincial, municipal, agricultural, educational, health and other departments, they jointly launched training of junior middle school teachers of more than 3,000 people. In addition, the past 10 years, our college graduates apply for adult higher education in Hebei province to the Bachelor’s degree level examination test center of foreign languages in 2011 and declared to be successfully transferred to GP training base in Hebei province. Meanwhile, the Institute also hosted in Hebei province “problems in the clinical laboratory” and “rural skill training of inspection personnel” two continuing education programs. At present, continuing education is faced with three schools merged for better development opportunities and in solidarity we will be able to create a new situation of adult education.